What is the cheapest way to get from Orange to Lompoc? The cheapest way to get from Orange to Lompoc is to drive which costs $17 - $26 and takes 3h 10m. 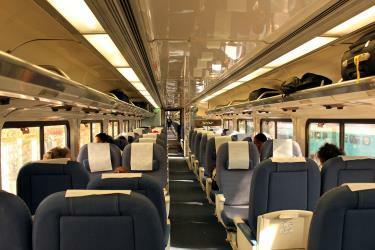 What is the fastest way to get from Orange to Lompoc? The quickest way to get from Orange to Lompoc is to drive which costs $17 - $26 and takes 3h 10m. Is there a direct bus between Orange and Lompoc? No, there is no direct bus from Orange to Lompoc. 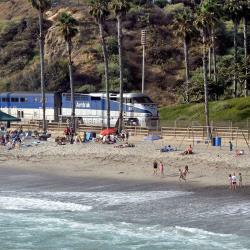 However, there are services departing from Anaheim, Ca and arriving at Lompoc Amtrak Bus Stop via Los Angeles, Ca and Santa Barbara Amtrak Station. 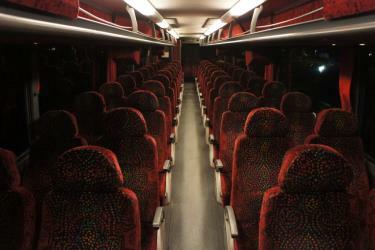 The journey, including transfers, takes approximately 7h. How far is it from Orange to Lompoc? The distance between Orange and Lompoc is 161 miles. The road distance is 182.4 miles. How do I travel from Orange to Lompoc without a car? The best way to get from Orange to Lompoc without a car is to train which takes 5h 8m and costs $70 - $150. How long does it take to get from Orange to Lompoc? It takes approximately 5h 8m to get from Orange to Lompoc, including transfers. Where do I catch the Orange to Lompoc bus from? 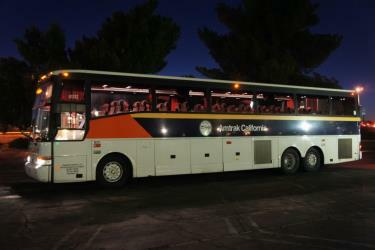 Orange to Lompoc bus services, operated by Greyhound USA, depart from Anaheim, Ca station. 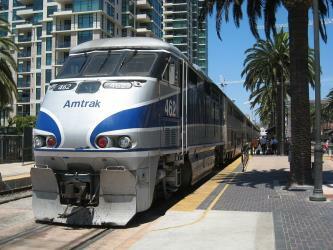 Train or bus from Orange to Lompoc? The best way to get from Orange to Lompoc is to train which takes 5h 8m and costs $70 - $150. Alternatively, you can bus, which costs and takes 7h. Where does the Orange to Lompoc bus arrive? 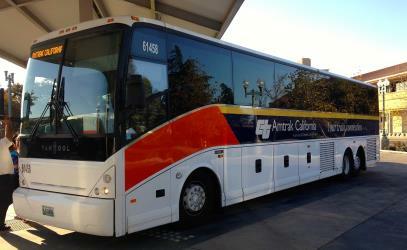 Orange to Lompoc bus services, operated by Amtrak, arrive at Lompoc Amtrak Bus Stop station. Can I drive from Orange to Lompoc? Yes, the driving distance between Orange to Lompoc is 182 miles. It takes approximately 3h 10m to drive from Orange to Lompoc. What companies run services between Orange, CA, USA and Lompoc, CA, USA? 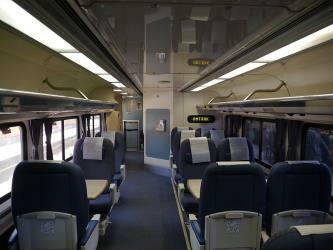 Amtrak operates a train from Orange to Lompoc twice daily. Tickets cost $40 - $100 and the journey takes 4h 53m. 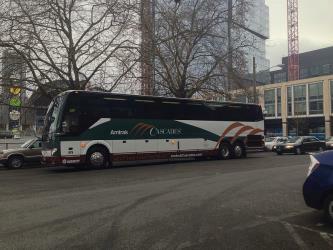 Alternatively, you can take a bus from Orange to Lompoc via Los Angeles, Ca, Santa Barbara, Ca, and Santa Barbara Amtrak Station in around 7h. Where can I stay near Lompoc? There are 24+ hotels available in Lompoc. Prices start at $59 USD per night. Mission La Purisima Concepción, or La Purisima Mission (originally La Misión de La Purísima Concepción de la Santísima Virgen María, or The Mission of the Immaculate Conception of the Most Blessed Virgin Mary) is a Spanish mission in Lompoc, California. It was established on December 8, 1787 (the Feast of the Immaculate Conception, hence the mission's name) by the Franciscan order. The original mission complex south of Lompoc was destroyed by an earthquake in 1812, and the mission was rebuilt at its present site several miles to the northwest. The Lompoc Museum is a museum preserving and interpreting the history of the Lompoc area and is located in the town of Lompoc, California. The museum offers interpretive programs, exhibits, multi-media presentations and special events. The museum is located in a former Carnegie library building, built in 1910. The Santa Ynez River is one of the largest rivers on the Central Coast of California. It is 92 mi long, flowing from east to west through the Santa Ynez Valley, reaching the Pacific Ocean at Surf, near Vandenberg Air Force Base and the city of Lompoc. Rome2rio makes travelling from Orange to Lompoc easy. Rome2rio is a door-to-door travel information and booking engine, helping you get to and from any location in the world. 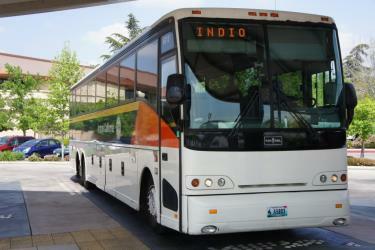 Find all the transport options for your trip from Orange to Lompoc right here. Rome2rio displays up to date schedules, route maps, journey times and estimated fares from relevant transport operators, ensuring you can make an informed decision about which option will suit you best. Rome2rio also offers online bookings for selected operators, making reservations easy and straightforward.